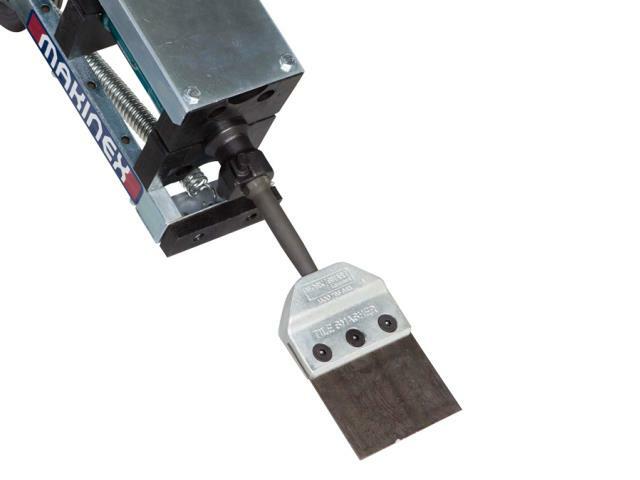 The Makinex Tile Smasher Jackhammer Attachment is ideal for lifting and removing tiles from wooden and concrete surfaces and for cleaning tile beds. It can also be used for removing vinyl and cork flooring. Machined out of a solid block of high grade steel, the Tile Smasher suits most jackhammer types and is built to last. The tool includes a durable 2mm (1/16in) thick high tensile steel blade, held together with high tensile fine thread bolts and industry grade Loctite thread lock. The countersunk bolts eliminate the risk of the bolts sheering off during operation. The tool is supplied fully assembled and is backed by a 6 Months Warranty. Replacement Tile Smasher blades are available.